A staple food in many traditional Italian dishes, linguine is a must-have addition to any kitchen. Linguine features a long, flat shape, which is similar to fettuccine, except slightly thinner and narrower. This style of noodles is suitable for a wide variety of sauces -creamy, spicy, oil-based, tomato-based, or even hearty meat sauces! Linguine noodles are commonly paired with popular additions such as clam sauce, creating a creamy pasta dish that guests will love. No matter what you're serving, this versatile pasta will bring authentic Italian flavor to any dish on your menu. 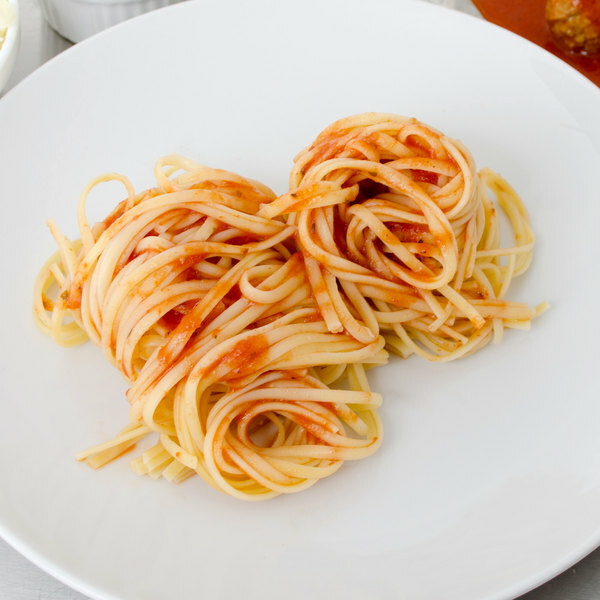 Best of all, this linguine is simple to prepare. Bring water to a boil and add salt to taste. Then empty the pasta into the the water and stir gently. Bring it to a boil again and stir occasionally for up to 10-12 minutes or until it reaches an al dente texture. Then remove the linguine from the heat, strain it, and mix in your signature sauce. Making fresh pasta noodles from scratch can be rather time-consuming, especially when you've got a busy kitchen. 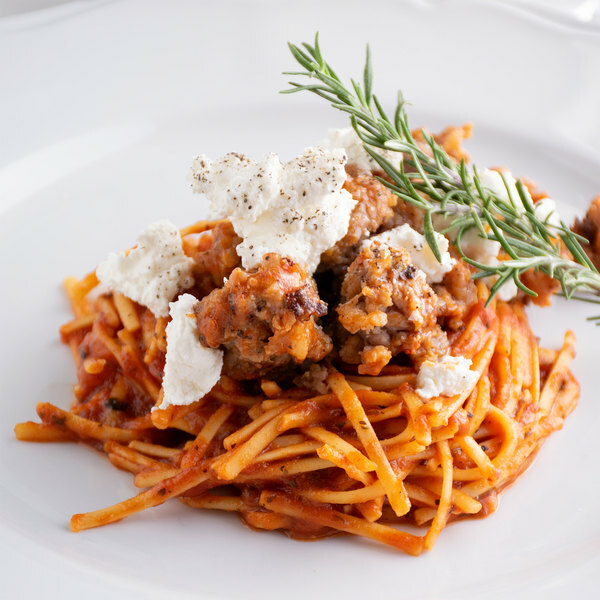 Dry pasta will help to cut down on preparation time, ensuring a smooth and efficient service for your hungry patrons. With 20 lb. 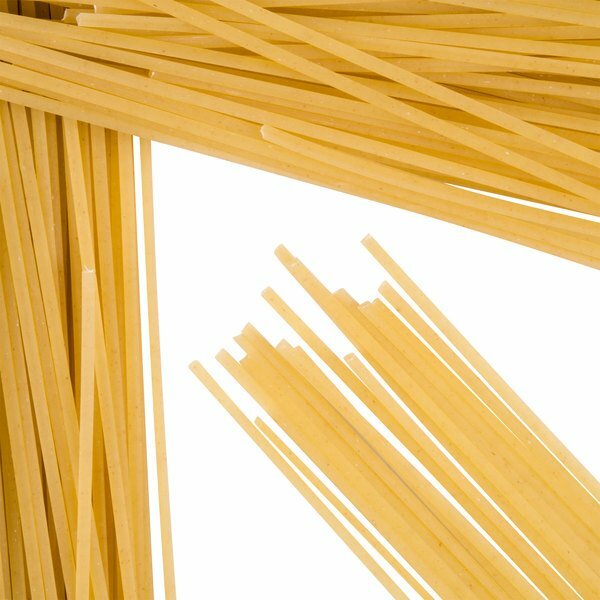 of pasta in every case, your restaurant will be in good supply when making one of your popular dishes that feature linguine. Al dente or soft, drizzled with olive oil or covered in sauce, this linguine is the perfect all-purpose item to satisfy your customers. This linguine had a good bite to it and tasted fresh. I was excited to buy it at such a cheap price compared to most other locations! This is an amazing price for some great quality pasta! It's great to have a lot of packages on hand, makes it really convenient to whip up a great pasta dish anytim. 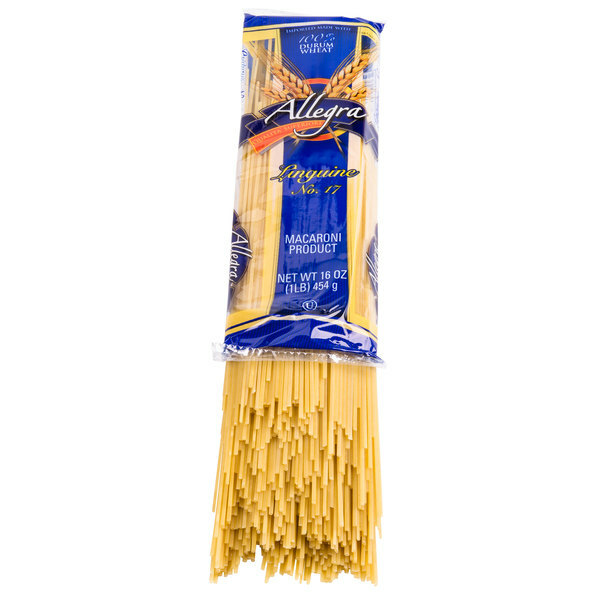 Top quality linguine pasta that is perfect for any pasta dish. We prefer using it when we make our seafood pasta. The noodles are great size and shape. This is good linguine! They came unbroken and they taste delicious! Great Price! Perfect for catering where large amounts of food are needed! Love it ! Good linguine! It's not as good and some of the imported pastas at the local market but it doesn't have the imported price either. The flavor is good and it doesn't get mushy like some cheep pastas. Linguine pasta is a thicker noodle. This is especially good tasting when flavored with an oil based sauce and served with chunks of roasted vegetables. This is the same linguini that we buy from our local distributor but the price is a little cheaper a webstaurant. Our chef said it cooked very clean and it tasted just fine to me. How to save money, get great pasta that are quick to cook in a convenient package? Get these linguine! Was a great idea to stock pasta for our personal use. Webstaurant price for the quality is hard to beat. Will buy again. This is another excellent quality pasta product. Perfect for all the pasta recipes we make for our large family. We will order again in the future. This linguine is a wonderful pasta product. We use it in our Italian dishes and with other combinations of mushroom soup, butter, and butter with cheese and different seasonings. Try adding halved cherry tomatoes added just before serving to add a bright color and flavor. We also add fresh basil just before serving. This pasta is very good. I've been using it a good while, have used it several different ways, always pleased. Real good in chili. A good buy. Excellent packaging and great taste linguine. It is rounder than traditional linguine as I am used to the flatter version in other brands. Overall, recommending quality product. It tastes awesome and it lasts a really long time for home use. I'm so happy to have found this product at such a reasonable price. My friends call me the pasta guru. linguine is a favorite in my house!! 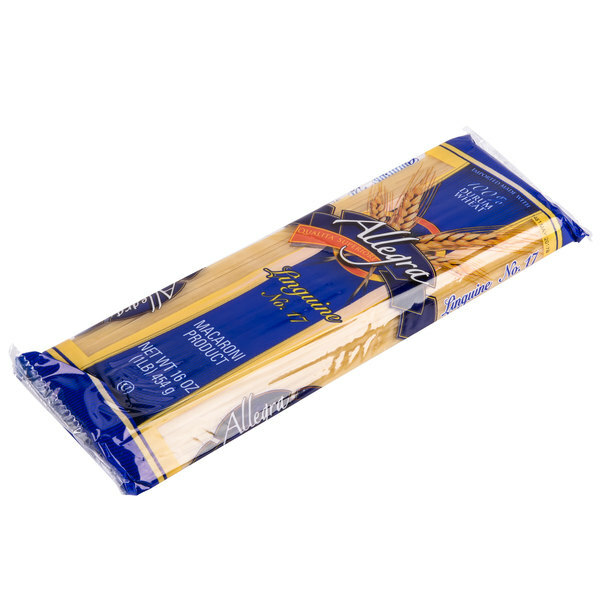 These one pound bags are perfect for making linguine with clams and a white wine sauce! Easy to cook, great tasting!! The price is just such a great deal, you simply cannot beat it. I love the 1 pound bags that it comes in. Perfect for so many applications.